One of Houston's most beloved restaurants has challenged four media members to show off their culinary skills for a charity challenge. The James Coney Island Haute Dog Showdown features three hot dogs created by KHOU's Lily Jang, Urban Swank bloggers Shanna Jones and Felice Sloan, and CultureMap food editor Eric Sandler (aka, me). 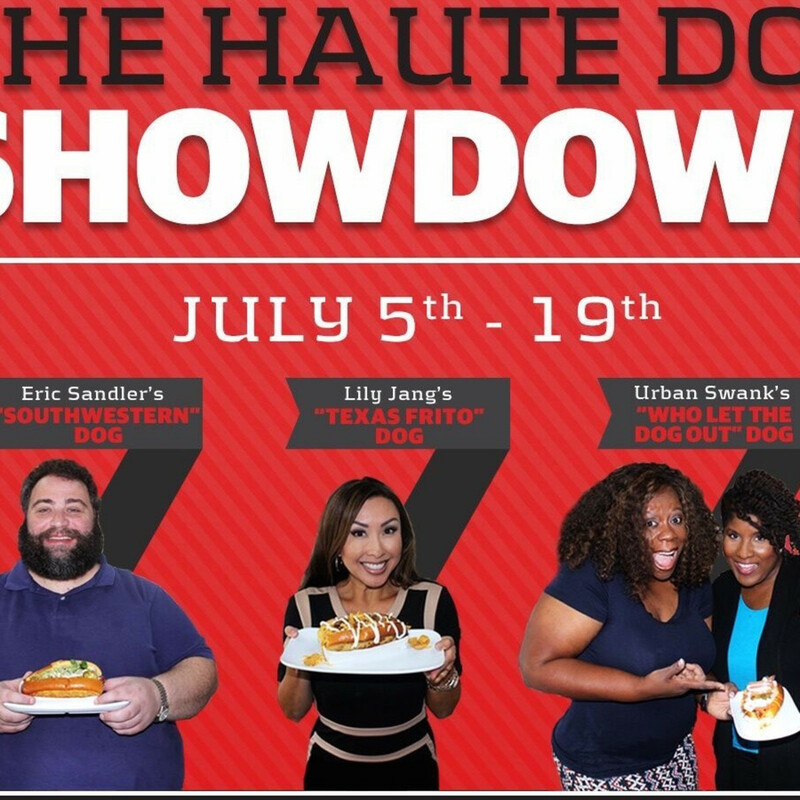 Similar to 2013's Chefs and Show Dogs series where six top Houston chefs created custom dogs, the participants in the Haute Dog Challenge had access to the full range of ingredients JCI uses on its hot dogs for their custom creations. Not surprisingly, the results are pretty varied. 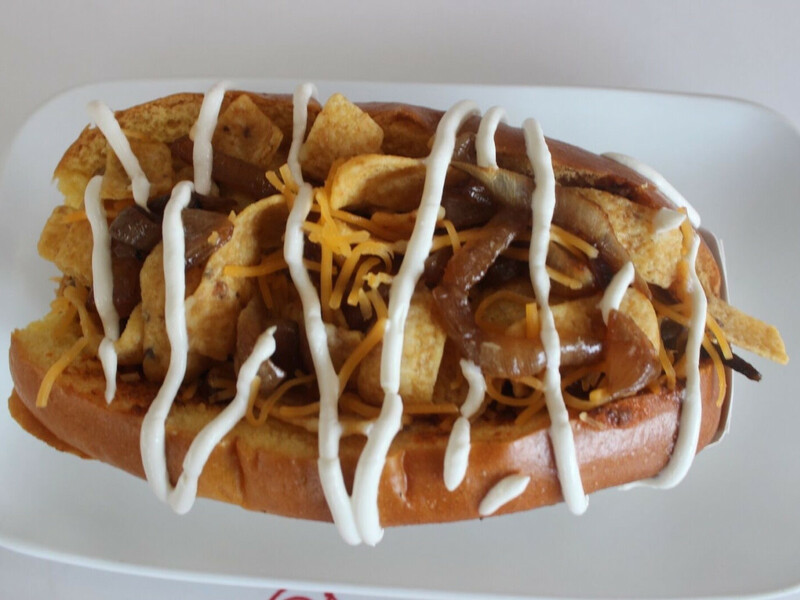 Jang kept things classic with a Frito pie-inspired dog that uses the restaurant's signature chili, Frito chips, caramelized onions, and a healthy topping of both sour cream and shredded cheese. 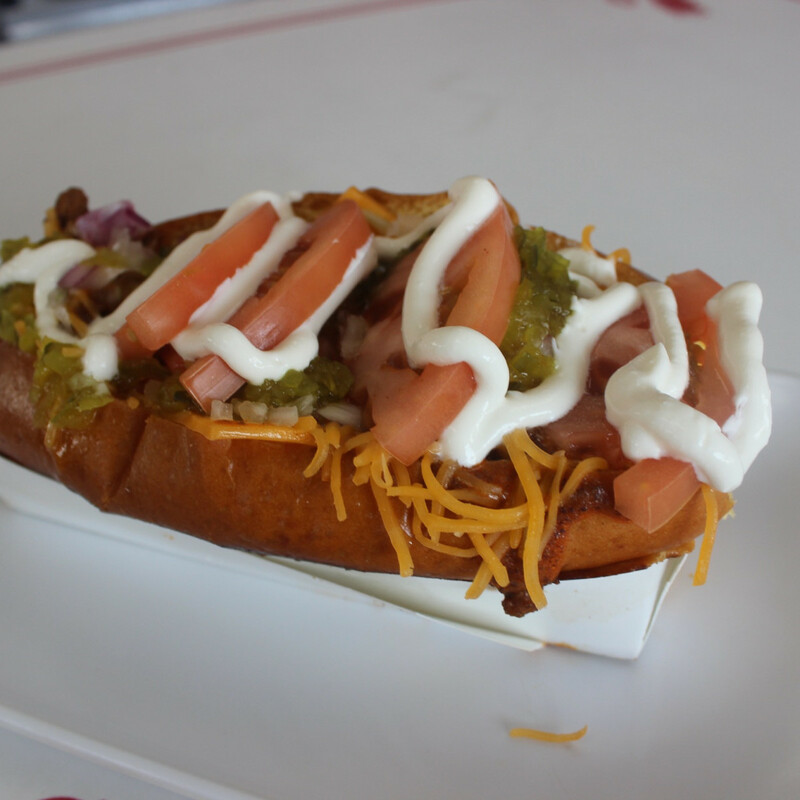 For their "Who Let the Dog Out," Jones and Sloan went with a "more is more" approach that includes chipotle mayo, two kinds of cheese, chili, two kinds of onions, sweet relish, sour cream, and tomato slices — knife and fork definitely recommended. 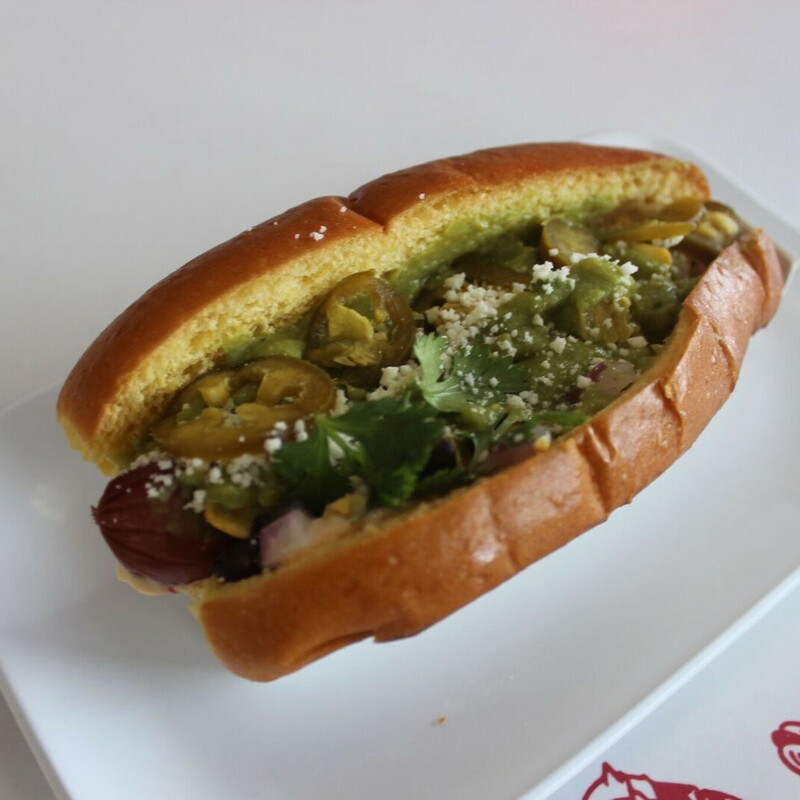 Taking a healthy does of inspiration from Good Dog Houston's Guac-A-Dog, my Southwestern dog features chipotle mayo, a "salsa" made with black beans, cilantro, red onion, and roasted corn, a healthy layer of guacamole, and a topping of cotija cheese and pickled jalapeno slices. 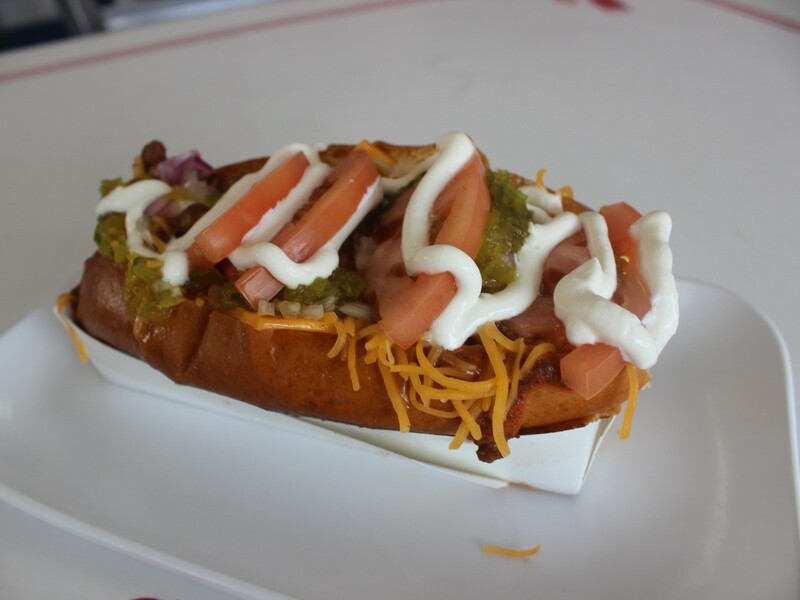 The dogs are priced at $6.99 and are only available from July 5 to 19 at four JCI locations (Shepherd, Westheimer near the Galleria, Town & Country and Meyerland). 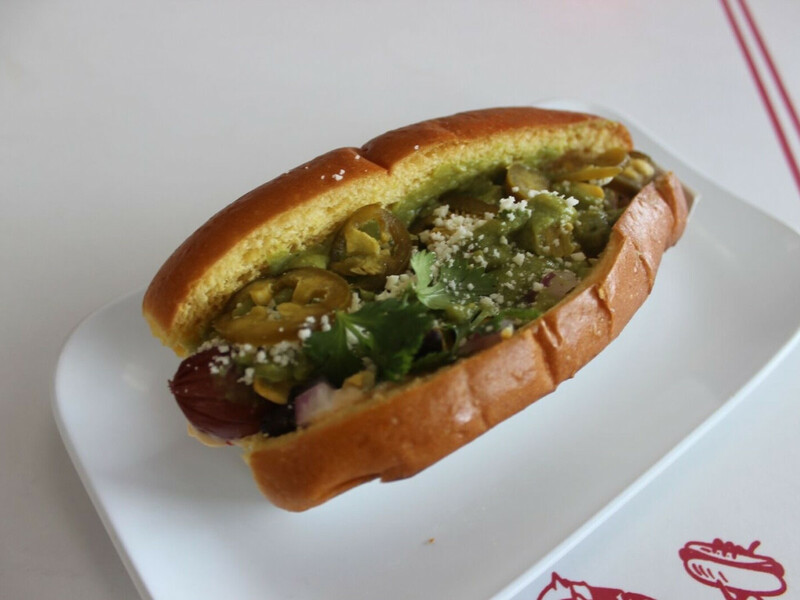 A portion of proceeds from each dog will go to a charity of the person's choosing: Casa de Esperanza (Urban Swank), The Houston Area Women's Center (Jang), and Recipe for Success (Sandler). Here's where the "challenge" component comes in. 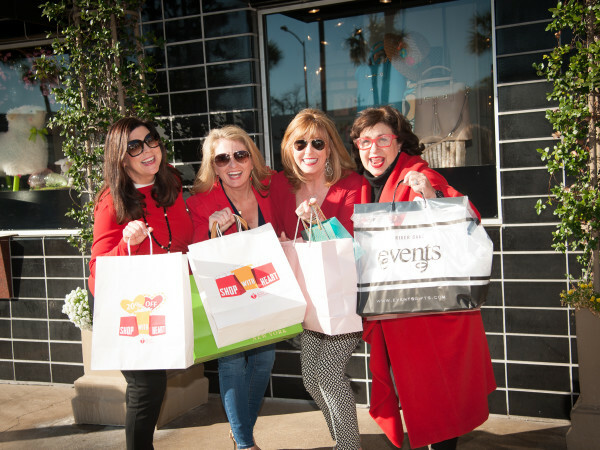 Diners are invited to vote for their favorite on Facebook or at the restaurants. 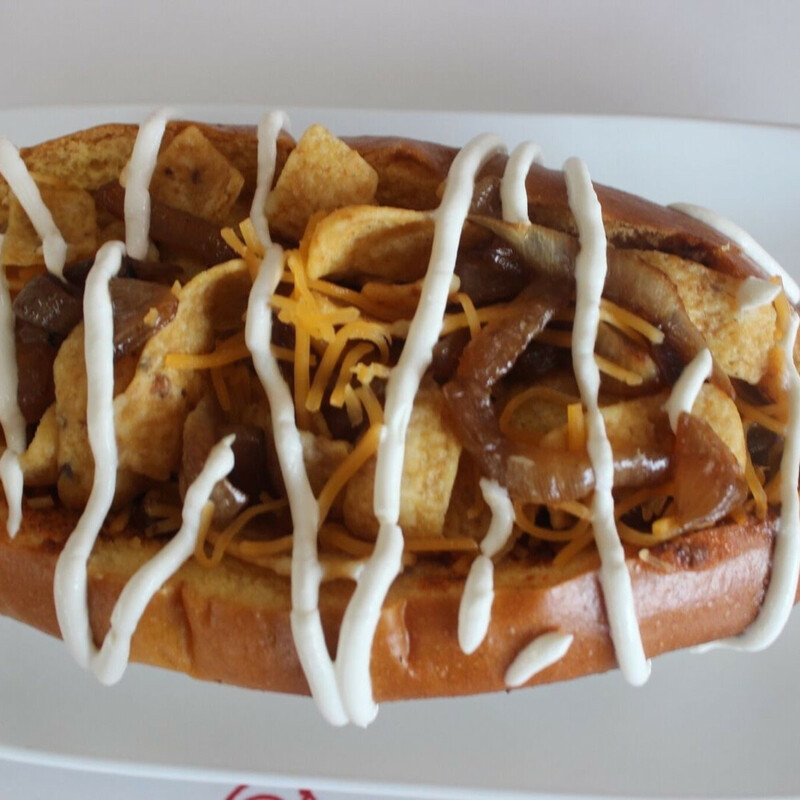 The winning dog, which will be announced July 23 (National Hot Dog day), will stay on the menu through August 23 and rack up extra money for the winner's charity. 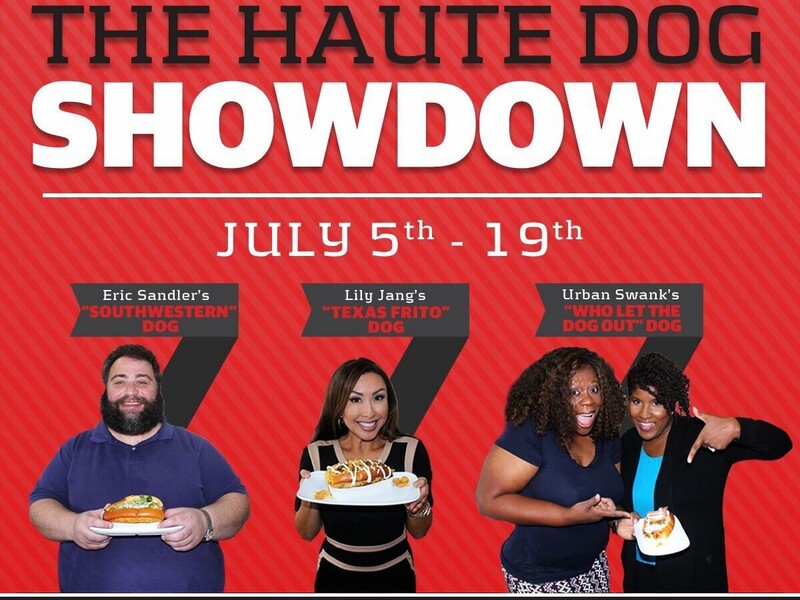 I'm hoping Houstonians find guacamole more tempting than chili and vote for my dog, but Jang's strong social media presence — and the nostalgia for Frito pie — probably makes her the favorite. 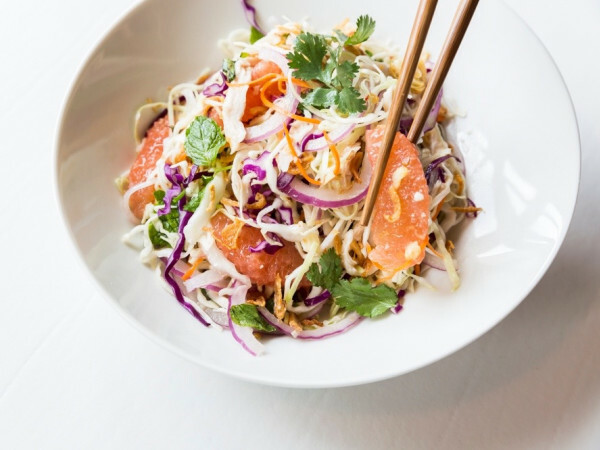 Regardless of the winner, three deserving charities will get a little recognition, and diners will get to try something new when they visit JCI.